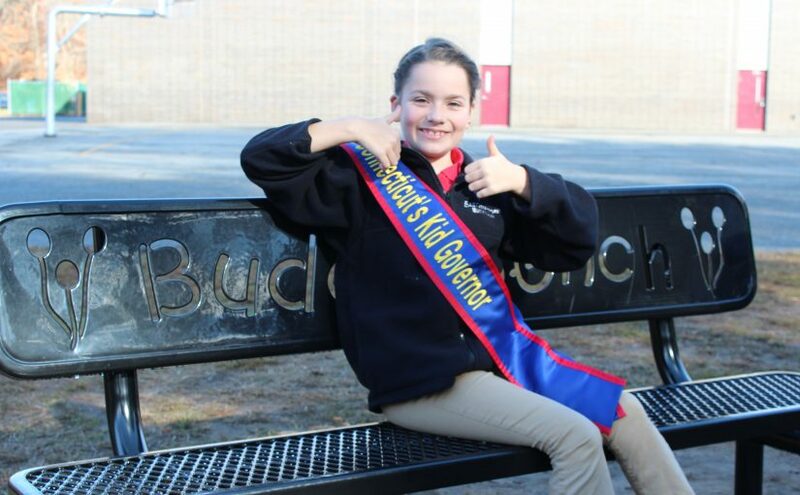 The second goal of Connecticut’s Kid Governor Elena’s Campaign for Kindness is for “Buddy Benches” to be installed on 10 Connecticut School or community playgrounds. “Buddy Benches,” a movement started by Christian Bucks of Pennsylvania and his principal, eliminate loneliness and foster friendship by providing a safe space for students to sit when they need a “buddy” to play with. Kids, adults, schools and civic groups can work together to fulfill this goal! To learn more about “Buddy Benches” and how you can bring one to your community, watch Elena’s video below and consult our handy Buddy Bench Planning Worksheet. Congratulations to the following groups who have committed to bringing Buddy Benches to their schools! East Hartford Rotary, which is purchasing 11 Buddy Benches for the town’s elementary schools! Will you also bring a Buddy Bench to your community? 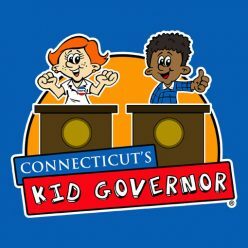 If you do, please contact CKG Elena at CKGElena@KidGovernor.org to let her know!